II. What Is Castor Oil? III. Why Do People Use Castor Oil For Boils? Do you ever have boils? It seems to be inconvenient and unconfident when having boils and cysts on your skin, especially on your face. What should you do to solve this problem? In reality, some people decide to go to the doctor to seek the best treatment. Some even do nothing and wait until the boil disappears. Meanwhile, some try to find out and apply different types of natural remedies for boils. 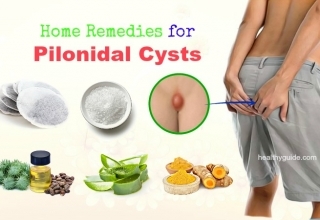 Regarding the topic of natural home remedies for boils and cysts, Healthyguide.com would like to suggest you a natural ingredient that is helpful and safe to treat boils. Have you heard that people often use castor oil for boils? No matter what the answer is, you should not skip our article because it will provide you all facts about castor oil and its effects on treating boils and cysts. 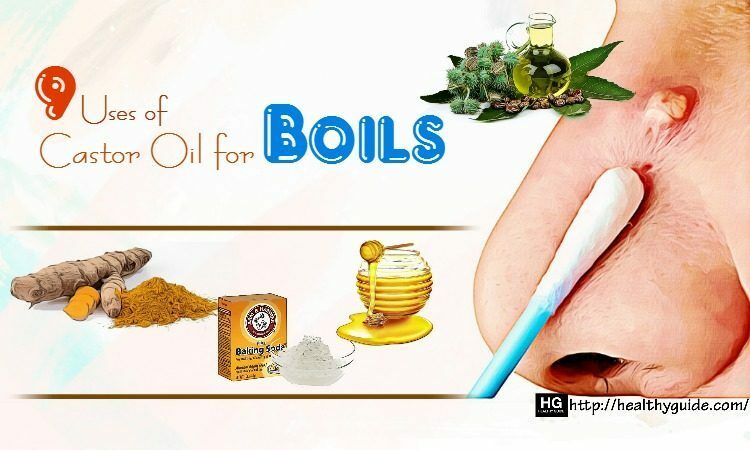 The topic is conducted to show you a brief answer for these following questions, including what boils and castor oil are, what benefits people can get from castor oil for boils in men and women, and how to treat boils with this natural remedy. Generally, you are highly recommended reading this thread. Let’s start to discover together! As said before, the very first question we are going to solve is what boils actually are. We are sure that many people may not know what exactly causes boils on their skin. According to doctors, boil, in other words, skin abscess is categorized as a skin infection, which results from the release of toxins. Normally, you can see that a boil is a red, painful, and pus-filled lump on your skin. In nature, doctors said that it is formed when hair follicles and sweat glands are clogged with bacteria, dirt, dead skin cells, and sweat. Actually, people who have a weak immunity system will be more likely to have boils and cysts than those other who own a stronger one. It is easy to understand that the weak immunity system generates weaker ability to resist bacteria so that boils have more chance to form than usual. As a result, if you often have boils and cysts, you can reconsider your immune system’s condition. It is not really a question, actually. Some of you may hear about this oil but may not know its benefits as well as usages in terms of treating boils. For such a long time, humans have found great benefits of castor oil. 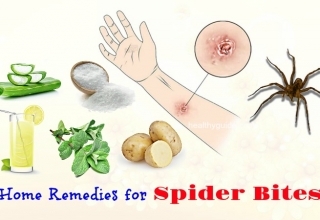 It is considered as one of the traditional and effective natural home remedies for dealing with boils. When combined with other ingredients, benefits of castor oil  for boils will be enhanced significantly. Scientifically, castor oil contains a high concentration of ricinoleic acid that has the powerful anti-inflammatory property. Thanks to that, it is very effective and natural to use castor oil to cure pain and reduce inflammation. In turn, it helps to treat boils and cysts. Besides, the anti-inflammatory function, this natural oil also has the antibacterial, antiviral, as well as antifungal properties, which largely contribute to combating against bacteria. Additionally, the high content of oleic acid known as the microbicide in nature can decelerate the growth of bacteria. Another typical of castor oil for boils treatment is that when taken internally, this remedy plays as an immunity booster. Simultaneously, it also has the preventive impacts on infection and recurrence. Scientists have proved that regularly using castor oil for boils in men and women can get rid of poison and pus in boils. At the same time, it can help to promote and accelerate the healing process. In general, applying castor oil is one of the most effective ways that you should follow to treat boils and cysts as well. 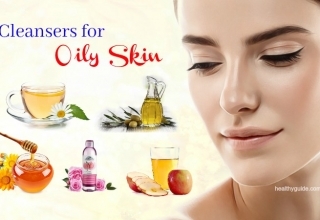 If you are wondering about the uses of castor oil for boils and cysts, you should not skip the following section of this article because it will provide you some useful methods. 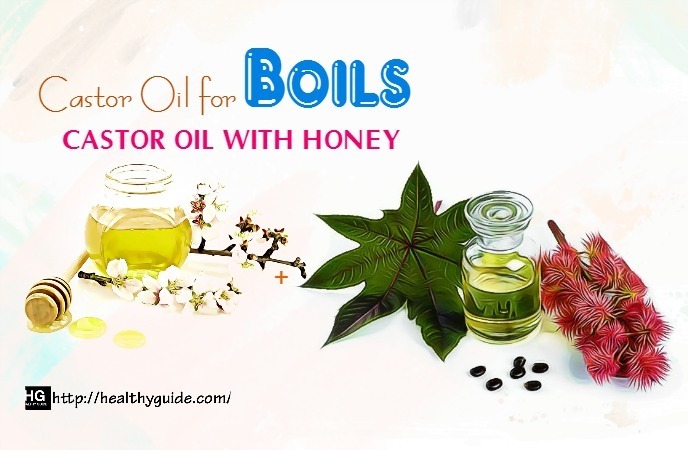 Here is the list of the best tips to use castor oil for boils treatment you can try at home to say goodbye forever to your own current boil issue once and for all. Check this list out and feel! This is the very first one out on the list of the best uses of castor oil for boils treatment that we would like to introduce in the entire article today and you should not skip at all costs! Without combining with other additional ingredients, castor oil itself can work well in treating boils and cysts, according to a research . The process is very easy. It will take you a small amount of time and effort to do. 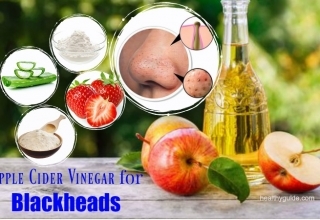 You can apply this method on all over your body skin such as face, neck, thigh, shoulders as well as groin areas, which are along with boils and cysts. To carry out this method, all the things you need to prepare is castor oil and a cotton ball. You can buy castor oil in the stores or even in drugstores. Here are steps that you are suggested to follow. Put it on a cotton ball. Apply the oil on the infected skin. Then cover it with a bandage. Leave it for about 3 to 5 hours. You can leave it overnight, if, please. After that, remove the bandage. Note: Instead, you can use warm castor oil or place the warm compress followed by applying the oil over the boil. Do this on a daily basis to gain the best effect. If you can maintain this habit, you will be surprised a lot by the great and quick effect of using castor oil for boils and cysts. It will draw the poison out and heal it immediately. We hope that it will work well in your own situation. If you do not have time to combine castor oil with other additional natural remedies, you are supposed to choose this method because it is very quick, convenient, and effective. In fact, turmeric is a very famous remedy for boils. This natural remedy also has the strong anti-inflammatory function as well as the blood purifying property, which are outstanding in curing pain and itchy. Like castor oil, turmeric also has the antibacterial property, which makes both of them have the ability to fight against the activity of bacteria causing boils and cysts. Moreover, the remedy can get rid of toxins in the boil. In general, turmeric’s properties are quite the same as castor oil or even stronger than the uses of castor oil for boils in men and women. Therefore, when combined together, they will enhance their benefits so that the solution will be more effective. It is also easy to carry out the process. 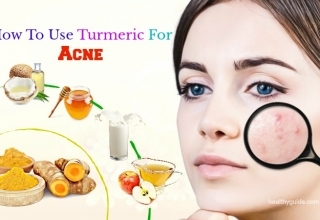 You are required to prepare turmeric powder and castor oil for the method. This is also a great use of castor oil for boils in women and men you should not look down but try to make use as soon as possible for good! Combine castor oil and turmeric powder in a small bowl to make a thick paste. Apply the solution on the boil by using a cotton swab. Leave it for 20 or 30 minutes prior to rinsing off with fresh water. 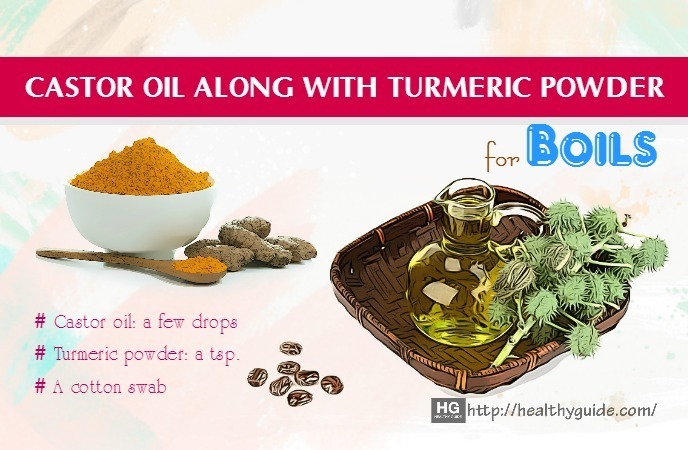 In our opinion, we highly recommend you using this method to treat boils because both castor oil and turmeric are outstanding natural home remedies for boils and cysts, actually. Do you know that baking soda is a great ingredient for skin care? It would be a big pity if you did not know this benefit of baking soda. For almost all women, baking soda is considered as not only a kitchen staple but also a beauty care ingredient. Regarding using castor oil for boils, we would like to show you an effective combination of castor oil and baking soda. The process is also simple so that you can do it every day. Combine castor oil and baking soda to make a thick paste. Apply the mixture on the boil. Then cover it with a bandage. If there is baking soda in your kitchen, you should apply this method. Please give us your feedbacks after trying this. Another recipe to use baking soda and castor oil for boils will be stated below. Mix all the ingredients to make a fine paste. Then apply the solution on the boils and infected skin areas. Leave it overnight and rinse off with lukewarm water in the morning. After that, pat it dry and apply a few drops of castor oil. Remember to leave it without washing off. Repeat the process at every night. Actually, parsley without castor oil also has the ability to treat boils and cysts. As a result, you can use only this ingredient in the case of lacking castor oil for boils. All the things you need to do is to take the extract from parsley leaves by boiling them in water and then strain it. 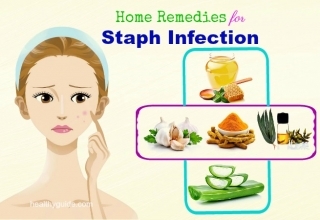 You soak a muslin cloth in the parsley water and use it to wrap the infected skin areas. You also choose to use other additional ingredients to combine with castor oil for boils, actually. 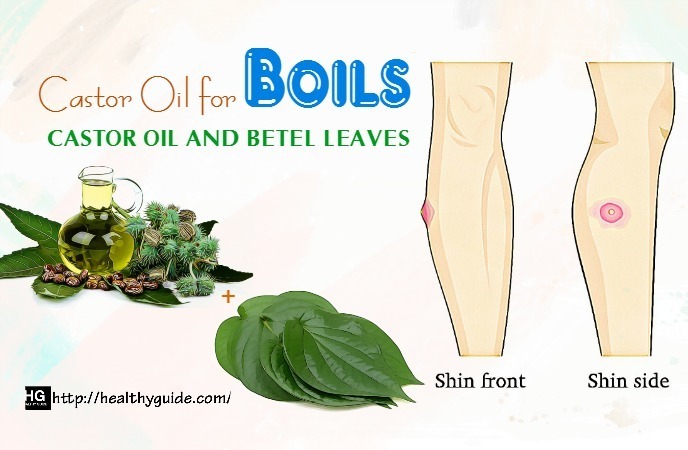 Among those natural ingredients, we suggest you betel leaves to treat boils and cysts effectively and safely. In our opinion, many people might know this benefit of betel leaves because it has been widely used for a long time. In fact, betel leaves have the ability to draw out the poison and pus from boils in order to cure the infection. It is thanks to a high concentration of tannins as well as other essential oils included in the betel leaf. That also contributes to getting rid of toxins. In turn, when combined with castor oil, both of them will be more likely to heal boils quickly. Of course, the direction is very simple. Remember to apply this method because it is useful for you. Keep betel leaves in warm water until they are softened. Coat them with a layer of castor oil. Then place the leaf over the boil. Wrap with a bandage. After a few hours, replace the old leaf with a new one. The last recipe to heal boils is to combine this essential oil with goldenseal powder  that is a remedy with the natural antibacterial function. By using goldenseal powder and castor oil for boils, you can kill the bacteria, the direct cause of boils and cysts. Furthermore, castor oil will promote the healing process. In general, they will not be a bad solution for you to treat boils naturally and effectively. Here is the process. Combine a tsp. of castor oil with a sufficient amount of goldenseal powder to make a fine paste. Then apply the solution on the boils. Wrap with a bandage. Then leave it between 20 and 30 minutes. Keep doing this three times per day. Try to maintain for 2 or 3 days. Note: After healed, you should use Aloe Vera gel to prevent scarring. Add half of cumin powder to one or two tbsps. of castor oil. Stir it well and directly onto your entire skin Cover it with a bandage for 2 – 3 hours. Do this again with fresh mix and new bandage for every 12 hours. Or else, you can also try using cumin essential oil in the castor oil. Honey provides strong curing and soothing properties forth skin issues like the boils. It can really help in relieving the swelling and pain due to boils. Mix all the ingredients you prepared within a bowl. Apply the mixture onto your boil area and let it stay for half an hour. Now rinse your skin gently with lukewarm water. Do not apply a towel on it. You can add castor oil while cooking food and can be used as dressing on salads. It is very useful for body and keeps the toxins away which cause skin infections. So start taking castor oil in your diet. The Neem paste mask on boils will offer a cooling effect and also helps to kill the bacteria and germs. The Neem can be used since ages for the treatment of many types of skin related infections. In a bowl, try mixing all these ingredients in the exact quantities given above. Wash your skin with clean water after all. Always opt for good quality castor oil to apply onto your skin areas – Jamaican black castor should be used rather than the regular one. Keep your hands clean when applying the castor oil onto your boils. Never press the boil because it can cause many more infections. 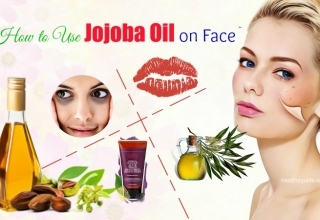 You should choose castor oil based boil treatment lotions and creams as well. Consult doctor if your current situation is not getting healed over an extended time period making use of natural home remedies. In summary, we have shown you some basic methods to use castor oil for boils, in conjunction with benefits of other supportive natural ingredients. As you can see, all the recipes we provided are natural treatments, thereby not worrying much about the side effects. It does not mean using castor oil for boils is completely safe. 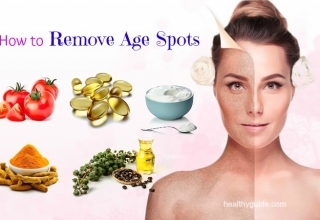 Sometimes, you may get irritation to one of the ingredients, thus, to avoid this situation, you should apply a small amount of the solution and observe the impact on your skin. If there are any unusual symptom and signal, you should stop using that method and ask your doctor for detail. We hope that you can share your feedbacks below the article to let us know about your results as well as recommendations about this topic. 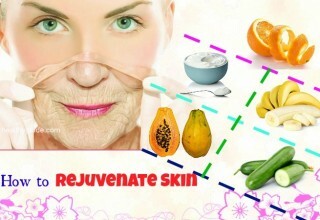 You are also highly welcomed to visit our main site Skin Care to have more information. 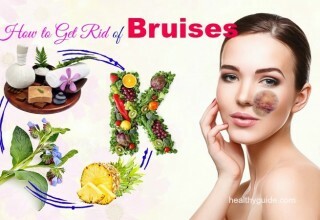 Boil is really a stubborn skin issue that everyone hates a lot!, including me, of course! I have been looking for the solutions for this issue for a long time, and now I found them! Right in this amazing article! Thanks a lot for sharing the best information and knowledge I’ve ever seen before! I will try them tomorrow and give you the feedback soon! Thanks again and have a nice day! Vote 5 stars for this! Wonderful suggestions! I hate this issue so much as I am suffering from it every day! Now after reading this article, I think that I’ve found the light for my dark sky due to boils! I will follow the steps and tricks that the writer of this article gives inside! Thank you again for helping people like me!!!! Great to here the sound of luck haha!